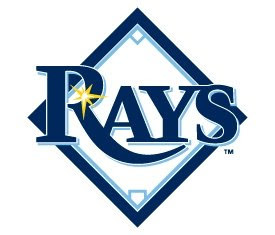 Looking through the history of Major League Baseball, one would be hard-pressed to find a franchise more atrocious than the 1998-2007 Tampa Bay Devil Rays. In the pantheon of awful teams, the Rays found themselves with the likes of the 1999 Los Angeles Clippers, the 1992 Ottawa Senators, and essentially the entire collective existence of the Detroit Lions. Only once in their decade-long history had they not finished dead last within their division, and at no point did they ever lose less than 90 games in a season. Now, a mere one year removed from the farce that was their history, here they sit on the precipice of a World Championship. As my mind continues to try to wrap itself around this fact, I continue to find myself returning to the same thought. Is it fun to root for the underdog? Of course it is. It gives every fan hope that, someday, they too could see their team drenched in champagne at season’s end. And it is always enjoyable to watch the fans of disposed favorites spend the offseason attempting to rationalize why it was okay to lose. After all, the popularity of March Madness is entirely based on these two points (see: George Mason and Duke, respectively). But there is something inherently wrong with the prospect of memorabilia adorned with the words “World Champion Tampa Bay Rays”. Now, to help explain, I should probably add one small but significant fact – I am a Chicago Cubs fan. Yes, the same Chicago Cubs that just spent six months compiling the best record in their league, only to be swept out of October in three games. The same Chicago Cubs that now find their championship drought at an even 100 years. The team has been forced to watch the crowning of the champion on television since before there was television… nearly before there was even radio! And yet, here we sit as a fan base, preparing ourselves for yet another upstart to hoist a banner to the rafters before us. We’ve been here before. Back in 1997, the Florida Marlins took home the title after a grueling five year wait. And just to rub it in, they went ahead and dismantled their entire team, rebuilt, and then stormed through Wrigley Field in 2003 to win a second championship, matching the Cubs franchise total in a mere eleven years. The Arizona Diamondbacks capped their fourth year in existence with a thrilling World Series victory over the Yankees in 2001. Even the Colorado Rockies joined in the fun last year, making their first Series before eventually falling to Boston. For the most part, those were painful to watch, but at least we had company. The Boston Red Sox and Chicago White Sox each had droughts nearly as long at the Cubs, and Red Sox fans are more than familiar with the concept of curses. But one by one, they each left us. During Boston’s magical run of 2004, numerous Cubs fans expressed their joy in watching the Red Sox shed their curse, thinking that it would somehow be our turn next. They felt relieved; I felt abandoned. They did not understand why it did not make me feel better. I explained that throughout the entire comeback against New York, I found myself rooting for the hated Yankees. Why? Because a season that ends in a Yankees championship is like a season that never happened… and a season that never happened meant that we were not one step closer to being the sole exception to the law of averages. Of course, a year later, the White Sox etched their name onto the trophy and scratched their name off the list of historical misery as well. And then we were officially alone, left to watch teams with no history, no character, and no emotional connection shed tears of joy upon the championship trophy, a scene with which we could not empathize. For a true sports fan, there is nothing quite as sacred as your team’s first championship of your lifetime. It is a journey you take, the ebb and flow of fandom pulling you in directions you never expected. You, as a fan, feel as if you deserve the championship just as much, if not more, than the team itself. At times you cheered; at times you walked away in frustration. But through the entire struggle, you were never indifferent. And that brings us back to Tampa Bay. A year ago, they produced the worst record in the league, which had been preceded by nine years of near-identical results – only nobody cared enough to notice, or noticed enough to care. Now? World Series. Suddenly, the kid who had been eating glue in the corner for the past decade is acing the SATs and dating the head cheerleader. Meanwhile, we Cubs fans are left, alone, to wonder how we got bypassed again. As a side note, I am currently writing for The Exchange, the UCLA Anderson student paper, and trying to interject more sports into the conversation whenever possible. In those instances, I plan on posting the pre-edited-for-length versions here. So that's something, right?